AFTER releasing 360-degree views of The Amazon, Google has unveiled another mapping project - Wind Map. 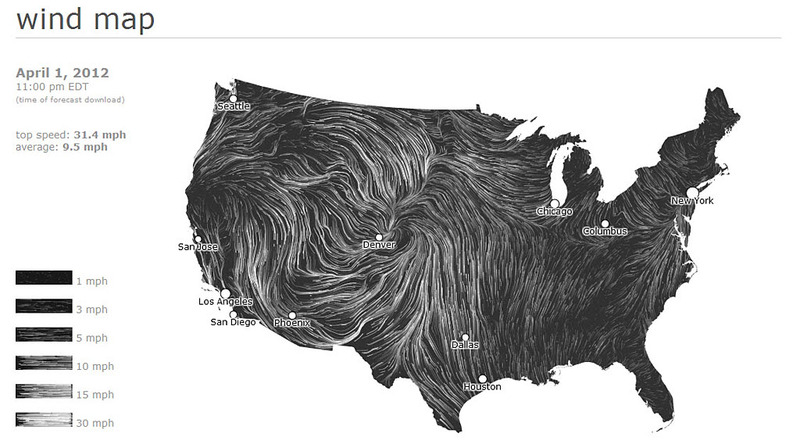 The new project uses computer models to compile data on wind speed and direction in the US and then overlay the wind flow "tracery" on a map. The result is a stunningly simple animation that hopefully will soon expand to include other countries. Google recommends using its Chrome web browser to get the best results.